Really wonderful experience from start to finish. Front desk, Samantha, and Doctor Furr were all polite, friendly, andmade me feel like I was going to get taken care of properly. I'd absolutely recommend anyone to visit Dr. Furr's practice if they need to visit an ENT, especially anyone with issues with their sinuses or nose. Really wonderful experience from start to finish. Front desk, Samantha, and Doctor Furr were all polite, friendly, and made me feel like I was going to get taken care of properly.I'd absolutely recommend anyone to visit Dr. Furr's practice if they need to visit an ENT, especially anyone with issues with their sinuses or nose. Dr. Furr answered all my questions, was never in a rush and I am fully confident in his skills and expertise.I highly recommend him! Dr. Furr answered all my questions, was never in a rush and I am fully confident in his skills and expertise. I highly recommend him! Dr. Furr grew up in western Pennsylvania. He attended Tufts University in Massachusetts, where he earned his degree in Biopsychology while representing the University as a NCAA Division III Varsity Soccer player. Dr. Furr completed his premedical studies at Harvard University. While attending Jefferson Medical College in Philadelphia he was elected to the Alpha Omega Alpha (AOA) honor medical society. Dr. Furr then completed his residency training at OHSU. Dr. Furr then spent a year in Fellowship training under the direction of Dr. Harry Mittelman, a leader in Facial Plastic & Reconstructive Surgery (a subspecialty of Otolaryngology). 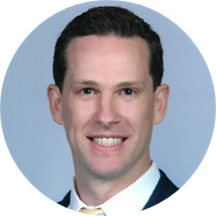 Dr. Furr has conducted and published research in wound healing, reconstructive surgery of the head and neck, cleft palate treatments, and cosmetic facial plastic surgery. He has been published in multiple peer-reviewed journals, and has had the honor of speaking at national specialty meetings. Currently serving as Chief of Otolaryngology for Legacy Good Samaritan Hospital, Dr. Furr is Board Certified in Otolaryngology – Head & Neck Surgery. He is also on the medical staff of Legacy Emanuel Hospital and Providence St. Vincent Hospital. His practice includes the diagnosis and treatment of a broad spectrum of Ear, Nose, and Throat disorders, as well as Cosmetic and Reconstructive Facial Surgery. With a focus on functional and cosmetic surgery of the nose (Rhinoplasty), he also provides advanced treatment of sinus conditions and disorders (Functional Endoscopic Sinus Surgery). Other areas of expertise include Head & Neck Cancers, thyroid masses and other tumors of the head and neck, allergy treatments, and pediatric ENT. In his free time he enjoys spending time with his wife and children, mountaineering, and golfing. Great job addressing the issue. Dr Furr is not only professional he has genuine concern about your health. Highly recommend! Really great, very professional, did something to my ear that immediately alleviated symptoms I was having and prescribed some drops as well - my only issue was that my insurance didn't cover them and they were super pricey - but Icalled the office back and they recommended an alternative that worked fine. Dr Furr was able to explain my situation in clear, understandable language and answered all questions thoroughly. He was able to make me comfortable moving forward with treatment.. This was my first visit to Dr Furr and I was very pleased with his office staff and him. The appointment was a referral that had requested immediate attention. The office that I was originally referred to would not accept thereferral since they didn't accept my insurance provider. So I was extremely pleased with the speed in which an appointment was made by his office. Dr. Furr was very professional and he reduced my anxiety over the injury that I had. The exam seemed very complete and he discussed different options for consideration. I would definitely refer him to others. I felt he was honest and supportive. I left feeling confident that Dr. Furr would do right by my problem. I would highly recommend Dr. Furr for consultation. Very informative and attentive to details when describing diagnosis. Very good bedside manner. Listened well and had good recommendations. Really happy with my visit. Assumed I would need a follow up for the procedure I needed, but he did it during the same initial appointment. Great experience. I was prescribed a steroid which cleared up the problem, but it recurred as soon as I stopped taking them. Had to get another prescription, vicious cycle of steroids, didnt get the result I had hoped for, no recommendation for allergist, etc. Previously I saw 2 other ENT doctors . Dr Furr examined me more thoroughly and explained more about what he was doing and why . He made sure I understood everything. He also let me explain what symptoms I was experiencingand really listened. I also found his humor to be the best that I have ever experienced. really fantastic. as a physician myself, I know the roles of doctor and patient and I could not have been more impressed! Delightful visit! Dr Furr and staff are very nice and kind. It's kinda like going to visit your closest friends on a Wed afternoon. Nice visit. Very professional, friendly and little to no wait time. Dr. Furr was straightforward and thoughtful, and even did an in-office procedure with me that very same appointment, I was surprised how quickly the issue was resolved. Excellent and personable. I have a worrisome condition and I feel a sense of relief and feel confident to be under Dr. Furr's care. I had a great experience with Dr. Furr. He listened to my concerns, asked good questions to identify potential health issues, and gave me a clear and concise diagnosis. Everyone in the office was nice. The office staff and doctor were young and seemed fun. I felt immediately comfortable. For an early morning appt before work, I was happy to be seen right away and wasn't made to wait longby the doctor. Really liked that the doctor asked me lots of questions. After a tortured month of feeling like I had water in my ear, the doctor was able to determine that the cause was actually a piece of blue fuzz (probably from QTips) stuck in my ear, rubbing on my ear drum. He was able to quickly pull it out and voila! Cured! A weird and funny appt for sure. Super happy with the services and time spent asking questions and making sure he understood what was going on. Finally a doctor who actually listened to me! Ran several tests to make sure his diagnosis was correct. Would highly recommend and go back if necessary! Dr. Furr was friendly, attentive and knowledgeable. I appreciate getting an appointment quickly. He was professional in his approach. I will return to see him again if the need arises. I would strongly recommend him to others. I really liked him very much as a Dr. He asked questions, took notes and explained things. It also was the best hearing test I have had in a long time! Dr. Furr is very professional. He's quick and smart. He was bale to diagnose and knew my situation. I was very pleased with his findings and explanations. I would gladly return and see him again. Thank you Dr. Furr! He was friendly, professional, diagnosed quickly,, treated the condition and very handsome. Dr Furr was awesome. He was a great listener, he fully explained my condition and gave me immediate relief in the office. He satisfactorily answered all my questions and gave me advice on dealing with the problem in the future. Idrove five hours round-trip to see Dr Furr and it was time well-spent. Dr Furr is one of the good guys and I would make that drive again if needed!!!! Dr. Furr was personable and professional. He seemed genuinely concerned about my well being during the procedure. I recommend him. I was late to my appointment by 15 minutes. They were very understanding and were still able to see me with a minimal wait. Dr. Furr was very attentive and thorough. He gave me a great referral and even printed offcopies of a helpful article describing my condition. I would highly recommend this office. I always enjoy my appointments with Dr. Furr. He is attentive, kind, and thorough. My appointment was handled perfectly!My problem was minor & Dr.Furr suggested minimal inexpensive treatment that should provide a cure in a few weeks.I would definitely recommend him. He is very good doctor. I was suffering from the infection(allergy in ear) at least more the 6 months but he gave me right oinment which cures in week only. Dr Maxwell gave a very detailed explanation as to why my son was having his ear pain. I really liked the fact he took his time with us and didn't make us feel rushed. I will go see him again andwouldn't hesitate to refer a family member or friend to him. Very pleasant demeanor, provided helpful information in an understandable fashion. Quickly devised a game plan to tackle my issues. Definitely recommend. Dr. Furr listened to my complaints, asked thoughtful questions and gave me a diagnosis that really fit my symptoms. I will be returning for follow up care and highly recommend him. His staff was also very kind and courteous. Top notch in my book. Dr. Furr was highly professional and courtious. He took time to answer all my questions. I would highly recommend Dr. Furr to anyone seeking an Ear, Nose and Throat specialist. Dr Furr was thorough and listened to all of my concerns.